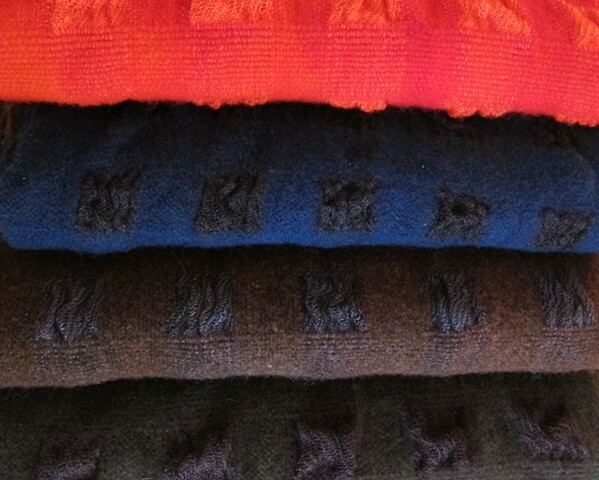 These scarfs were featured in "500 Felted Objects", an international book of felted works. They combine an interesting variation of tencel and wool, where the tencel accepts MX dyes while the wool accepts acid dyes. The wool is felted while the tencel "collapses" for an interesting surface design.